Stamina Body Trac Glider – Rowing is widely acknowledged to be one of the best all around fitness activities. All major muscle groups including legs, back, arms, abdominals and buttocks are used extensively while rowing. Want a piece of that action? Then get this killer Body Trac Glider by Stamina¨. 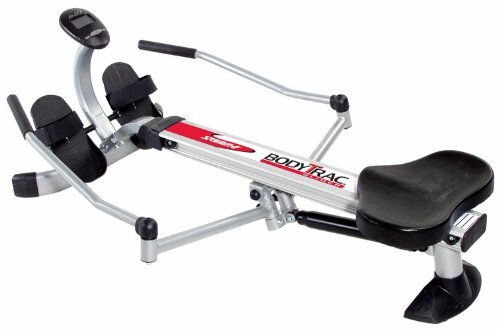 The Body Trac Glider offers a great full range of motion action due to its rowing arms. You can easily change the level of your workout by adjusting the shock resistance. The Body Trac Glider also includes a multi-function monitor and steel frame construction and folds easily for storage.